Sign up and receive Property Email Alerts of Houses for sale in Umhlanga, Umhlanga. A truly ambassadorial residence which displays the balance of tradition, luxury, style and offers the spaciousness and splendour of a traditional Mediterranean styled villa. 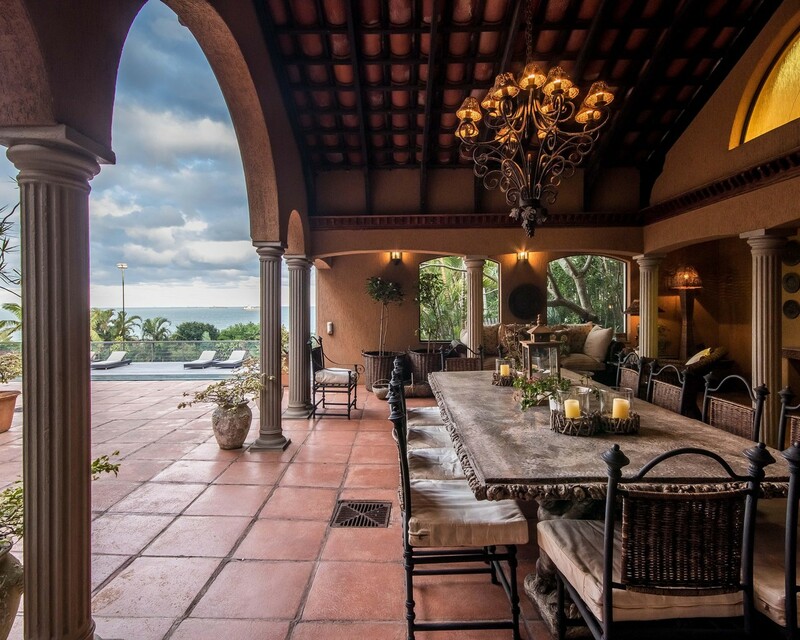 Perfectly positioned on a double site, boasting breathtaking sea views, the home designed and master-built in the 1970's, is rich in history and arguably the most prestigious residence in Umhlanga proper. From the Porte-cochere, you enter the 'ante-room' and into generous open plan living areas all boasting marble and solid wood flooring. The designer decorated home boasts lavish finishes and pure luxury. The expansive residence offers a total of seven bedrooms, three lounges, fully equipped bar with full size billiard table, five bathrooms, two guest suites, two studies and spacious heart-filled Italian styled kitchen and breakfast room (with a walk-in cold room). The Yoga Studio and sauna area offer various options for potential business use or as separate guest accommodation, with private entrance. Beautiful open terraces and a covered entertainment 'Terrazzo' with built-in pizza oven and braai / barbecue offer space and privacy for the extended family to relax and entertain. Great flow ensures easy living with access onto landscaped gardens....a lifestyle for the elite. Ideally located in prime lower Umhlanga and close to all amenities in the fast developing and popular Umhlanga Village, Gateway and Durban itself - and fifteen minutes from King Shaka International Airport. Sign-up and receive Property Email Alerts of Houses for sale in Umhlanga, Umhlanga.